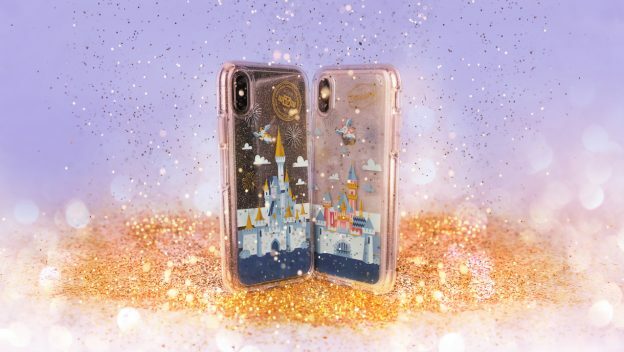 If you’re looking for a new phone case, you’ll want to check out the new, Disney Parks-exclusive Otterbox cases featuring Cinderella Castle and Sleeping Beauty Castle. The new cases are currently available for iPhone 7, iPhone 8, iPhone 7 Plus, and iPhone 8 Plus and will soon be joined by cases designed for the iPhone X. Additional cases now available include cases featuring Mickey and Minnie and Star Wars designs. The cases are available at Walt Disney World at the Emporium, World of Disney, Mouse Gear, Space Mountain Shop, Discovery Trading Company, Marketplace Co-op, and more. At Disneyland guests can find the cases at the Emporium, Off the Page, World of Disney, Trolley Treats, and Star Traders.